Mercedes-Benz of Lynnwood Blog: Mercedes-Benz of Lynnwood: WHICH and WHY? 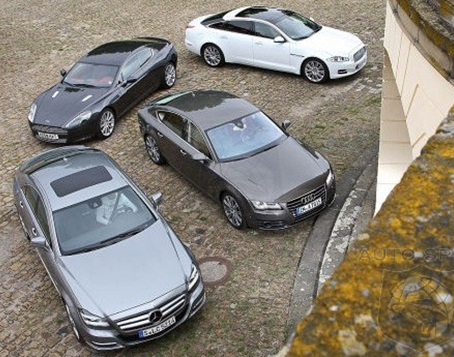 The Aston Martin Rapide, Audi A7, Jaguar XJ or the all-new, updated Mercedes-Benz CLS-Class--which one from this lineup of luxury vehicles which one would you choose and why? When asked this question, we sure know which one we'd choose! The Mercedes-Benz CLS-Class is our favorite--and once you try it, we think it will be yours. See how it stood up to the competition.